How to recover lost or forgotten passwords configured on MS outlook? Password Recovery tool for Outlook restore lost or forgotten passwords from Outlook Software instantly. Software shows login name, password and server information (including incoming mail server and outgoing mail server). Password Recovery program is fully capable to recover passwords, login name, server information etc from all E-mail and Newsgroup accounts. Utility recovers lost or forgotten passwords from E-mail and Newsgroup accounts. 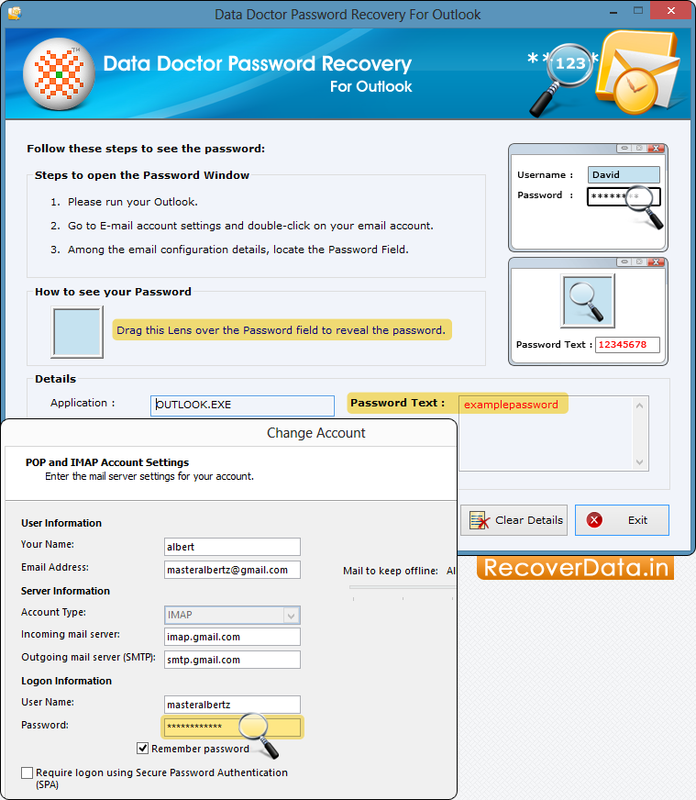 Software restore identity password and support multilingual password recovery. Password Recovery tool is compatible with all major versions of MS outlook. Software supports all major versions of MS Office Outlook to recover lost password.